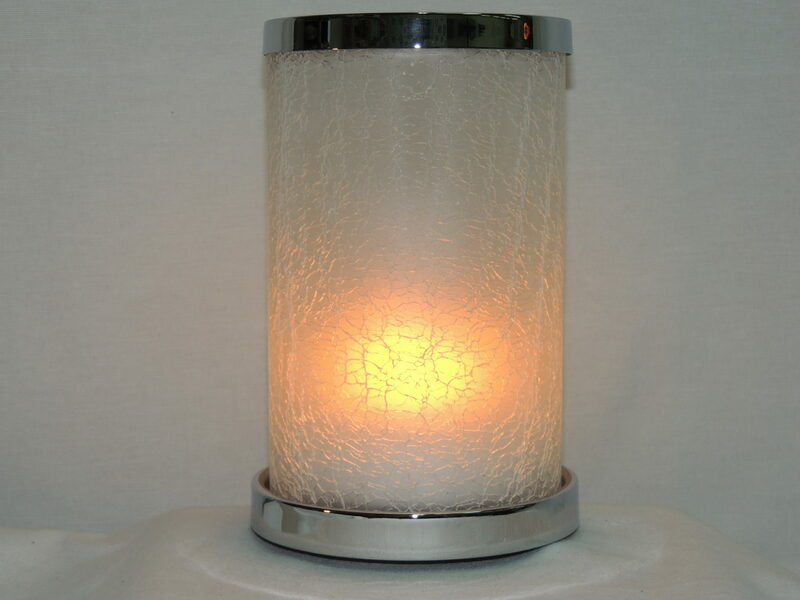 Flickering Candle Memory Lamp 7.5″ High with white crackled glass. 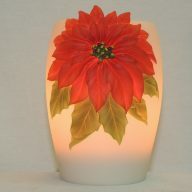 This beautiful Flickering Flame Candle accent lamp with white crackled glass has the appearance of a real flame burning. Top and bottom of globe is encircled with chrome. 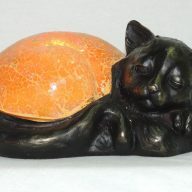 The powerful battery uses only 4 watts and can last many hours before recharging is necessary. 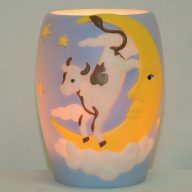 Equipped with a 3 hour and 6 hour timer, along with the Ambiente Flame LED module and USB Adapter with plug, this is certainly an unusual and most welcome candle lamp gift. Not having to plug this in to the wall, this can be placed virtually anywhere inside to commemorate the memory of a loved one or special event.